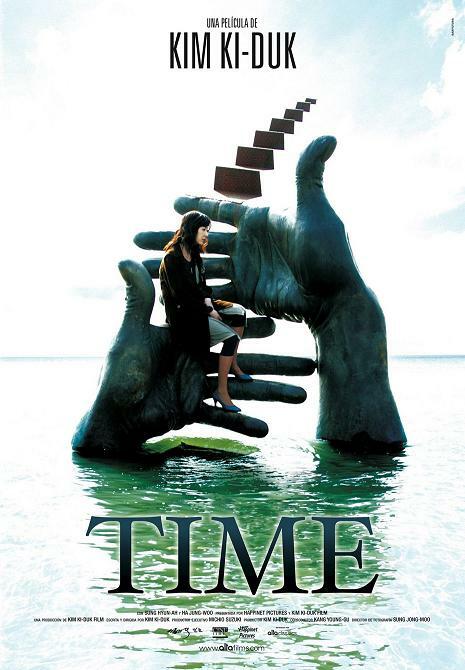 Another terrifying love story is unfolding in Kim Ki-Duk’s “Time” that opens brutally with a plastic surgery. Plastic surgery embellishes and restores youth at least for a while. But it can also be used in a more dramatic way for a more dramatic purpose. Kim Ki-Duk, as always, finds the extreme way to make his point. Plastic surgery is used here to change (not necessarily to embellish) one’s face completely to keep a relationship alive, to keep love fresh. It is an ultimate, desperate attempt to save love from fading away, to keep alive the sexual interest, this wanderer. They say time is a healer, and that is right. Time is also a killer, and that is also right. Love is a game and games are played by children, right? Children enjoy games to the maximum, then, in time, they get bored, very bored, right? All lovers are riveted by their lovers just as children are fascinated by their toys and games. For them time is suspended, history has stopped and eternity is the only thing that matters; the “forever and evers” are dancing in crazy circles with the “NOW!” But time, this low-profile thief, has not stopped its slow and sure pace during love’s celebration and went on corroding the enthusiasm, the playfulness bit by bit, day by day. Then Kim Ki-Duk starts slapping us. Roles are changing and now she has to run and look for him everywhere, in everyone. Hide and seek is a thrilling game, isn’t it? She is also looking for the feeling that, in her case, the right answer would bring: “How does my hand feel?” she asks obsessively waiting one answer only: “Feels like the right fit for my hand”. Her quest becomes unbearably desperate and the outcome is another slap that whirls time that seemed so goddamned linear. The only place where love rides along with eternity is art, is the only place where it can escape time’s mill. The characters are constantly visiting a sculpture park – its theme is love and its different stages – they keep coming back, contemplating the everlasting lovers, the everlasting “forever and evers” they’re longing to utter but which they can never keep. Fortunately is not their fault is just time passing by.